Brand new online LOS COMEX store at Storenvy! I've got an all-new online webshop at Storenvey! Not only are all my previous comics available there, but I've also added the Poster Comics as well. The Storenvey set-up allows for a nicer looking store, as well as allowing for previews of all the books. The address is LosComex.Storenvy.Com. To celebrate the 'Grand Opening' of the all-new LOS COMEX WEBSHOP, I've got a great offer on the Poster Comics. There are a total of 4 different ones available, so if you order 2 of them, you'll get 2 additional ones for FREE! 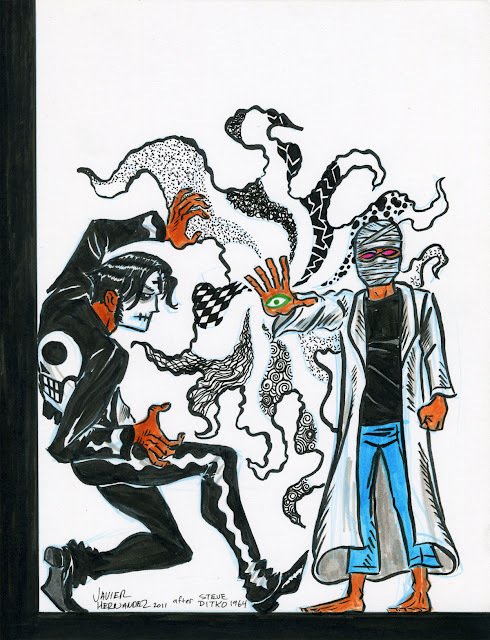 If you've been following my blog, you'll have read these done-in-one, single page comics featuring THE WAKE, SPIDER-CALACA, THE WANDERING JEW & CATHOLIC BOY as well as the semi-autobiographic TO BE CONTINUED! Now's your chance to own these comics as 11"x17" prints on glossy, cardstock paper. This special offer ends March 31! 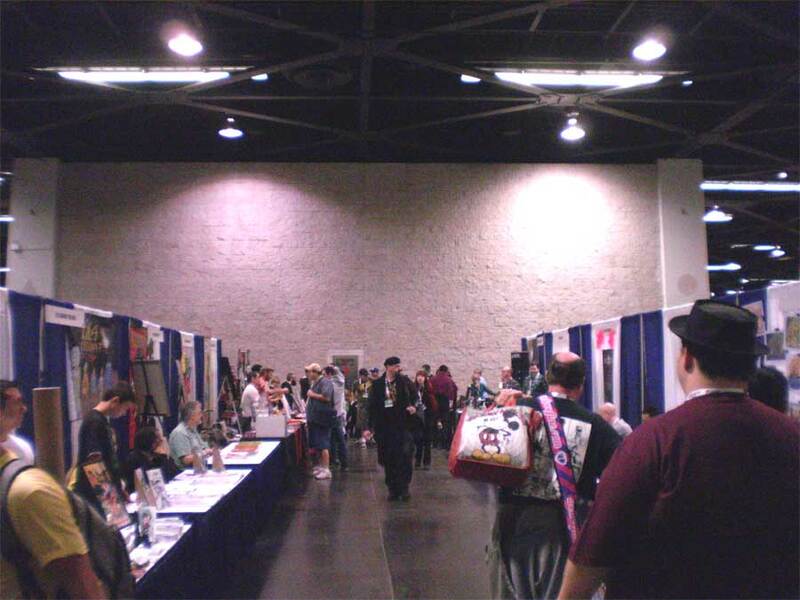 If you couldn't make it out to Wondercon this past weekend, fret no longer! Order whatever you'd like in the Los Comex Webshop. And all books come signed for free. Let us know at Checkout if you'd like them personalized to you or a friend. 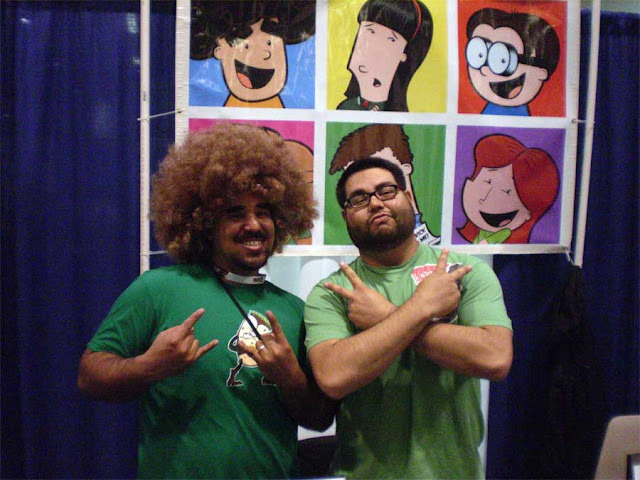 Wondercon, held this past weekend in Anaheim, CA, was a 3 day weekend of seemingly non-stop action! 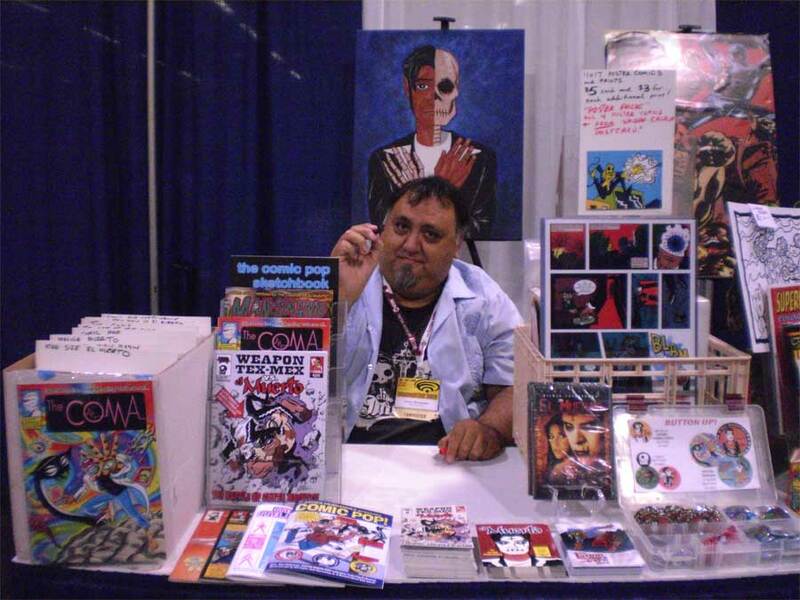 I hadn't exhibited at Wondercon in about 10 years or so. But since they relocated this year to Anaheim from San Francisco, I thought I'd best give it a try. And I'm glad I did. There was no shortage of memorable moments during the show, and that always makes these events worthwhile. I was splitting the table with friend and fellow comics creator Ted Seko, so that in itself made the weekend worthwhile as well. 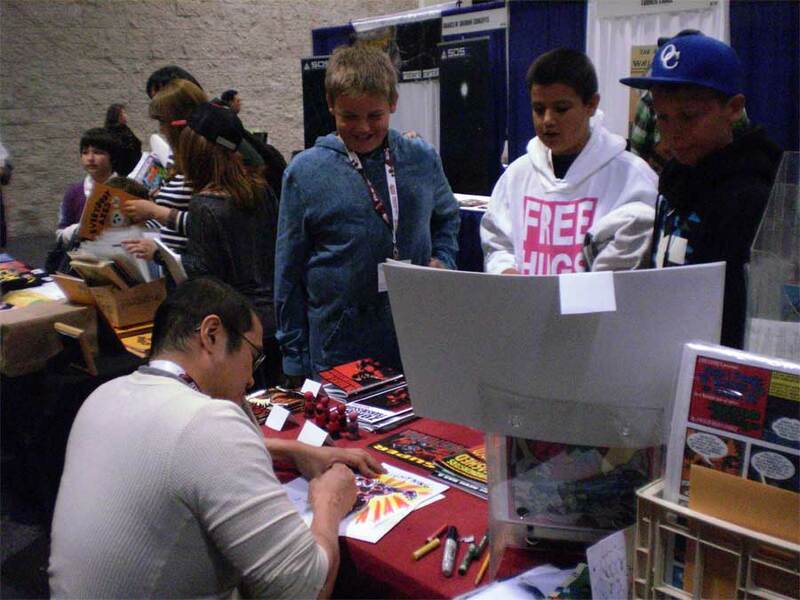 Since I've started self-publishing in 1998, I must have done at least 75-100 conventions, store signings, book fairs, festivals, etc. But each time I have to give some thought and planning to how to lay out my table. So for the first time, I brought along a comic box (on the left) and filled it with my my entire catalog of comic books (save the one that's currently out-of-print). 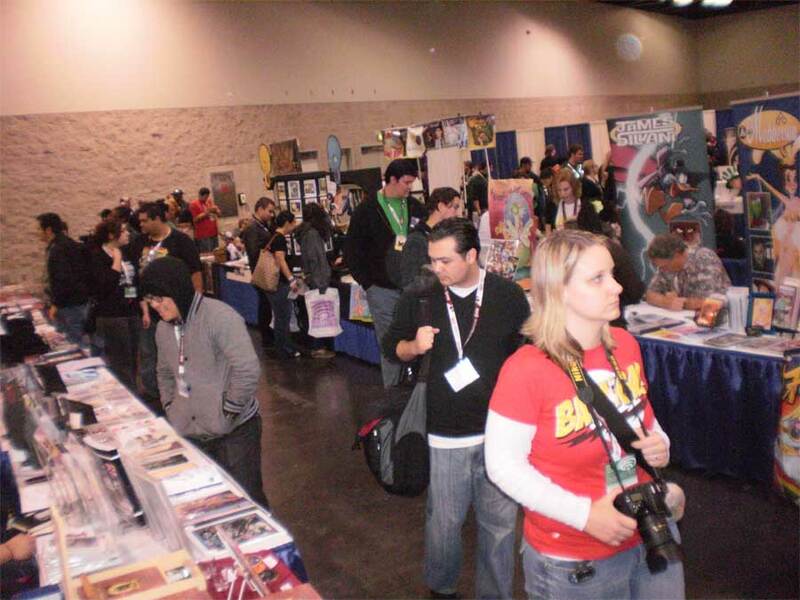 This was also the first time I debuted my Poster Comics, so a plastic 'milk crate' was the best way to display those. The good thing about doing a local show is being able to go home after the first day and bring back either more product or display fixtures. I was thinking of retiring my ancient EL MUERTO banner, but there was plenty of room behind me, so I brought it and hung it up. Which was good, because I think it really helped get more attention in the isle I was in. 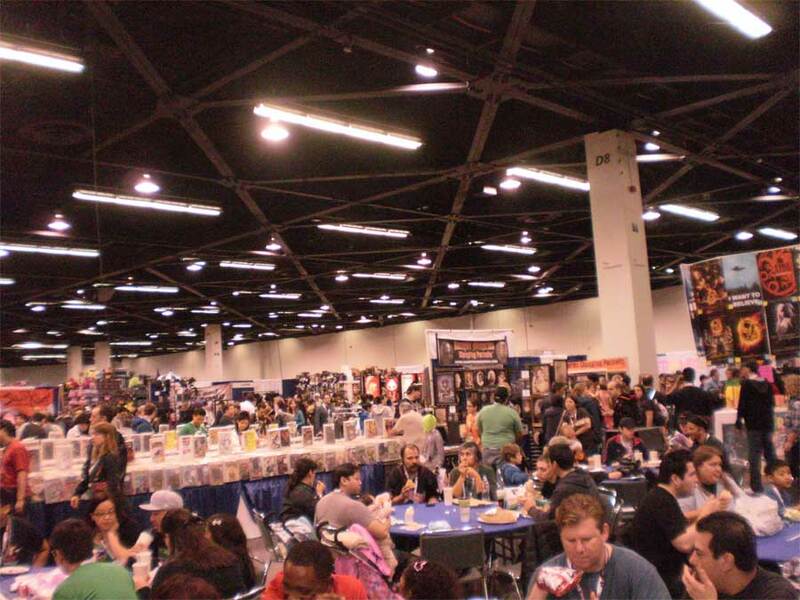 WONDERCON is a pretty big show, so there were lots of vendors and lots of attendees. On Friday, the traffic in the Small Press area was light, but Saturday picked up tremendously, and in fact that was our best day. Sunday, while not as busy perhaps, still had plenty of buyers stopping by our table and picking up our goods. It's always good to see so many artists setting up at a show to sell their work. There's always way space occupied by retail vendors and larger comics publishers, but it's the Artist Alley and Small Press area that gets me excited about the art of comics. 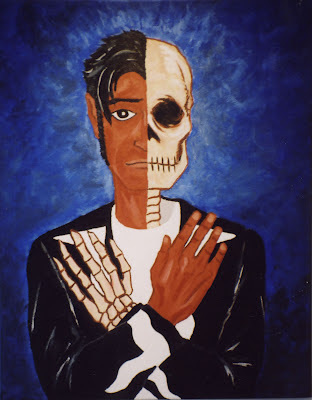 I don't look at any of these artists as competitors, but rather I look at how do I keep my work in the public's eye, and how good of a job am I doing in being an effective exhibitor. There's only so much you can 'pitch', people either respond to the work or they don't. 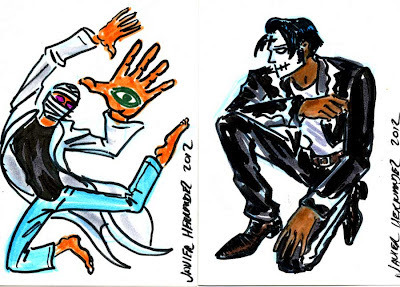 Couple of things that stand out to me about this weekend: As the years go on, I hear from more people who've seen the EL MUERTO movie, which sometimes helps sell some DVDs. That just shows the constant and pervasive power of movies and television. 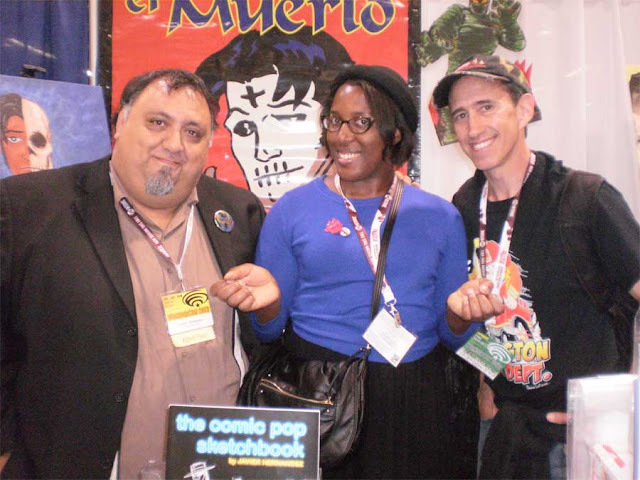 I was visited by a writer who moderated a panel I was on at the LA Latino Film Festival back in 2004, and another guy who interviewed me on JoBlo.Com back in 2005. A former student of one of my comic book workshops, from some 9 years ago, stopped by as well. He's in his early 20s now, which really shows me how much time has passed. 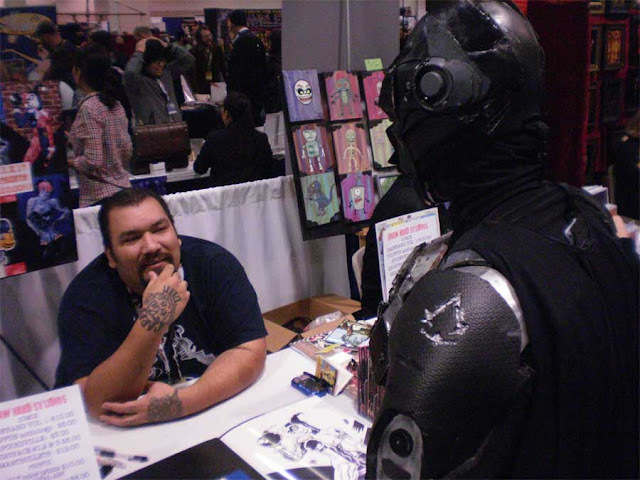 Also, two former employees from a comic store I used to shop at, (and later do signings at) back in the late 90s/early 2000s came by the table. A young lady whose doing her doctorate on comics made into films picked up some of my books, and I let her know she could contact me later if she had any questions I could help her with. Plus the usual mix of new readers ("Where do you suggest I start?") and old fans ("What do you have that's new?"). 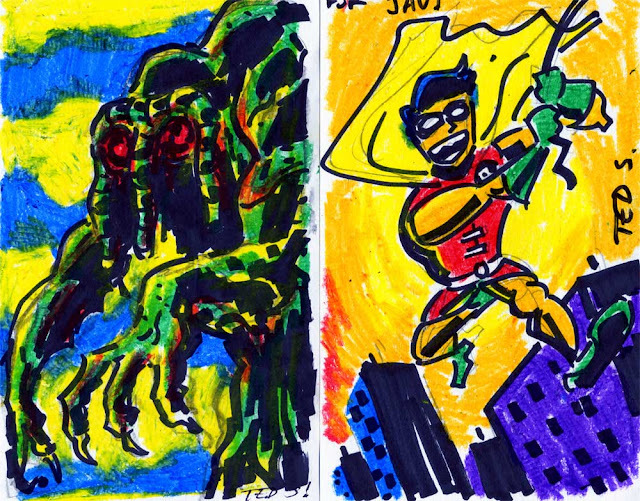 There were of course other friends and acquaintances I saw as well, but the ones I mentioned stand out because it really underscores to me how long I've been doing 'this'... Making my own comics and all the other experiences that have come with it. The movie, the teaching, the signings.... Man, it's been a great 14 years so far. Hey, I might be at the convention to showcase my own work, but as a fan, there's so much to see and buy at every show that sometimes I gotta indulge myself! Evenings of the convention were dedicated to dinner with friends, both local and out of town. That's one of the great reasons I love these conventions, meeting up with friends you don't get a chance to see normally. Sure, as I mentioned, the days are very long, and you're working every minute, either talking to endless streams of people, or fixing up your table, or wandering around the hall meeting friends and such. After dinner, it's a drive home, fall asleep, then get up for another 8, 9, 10 hour shift. 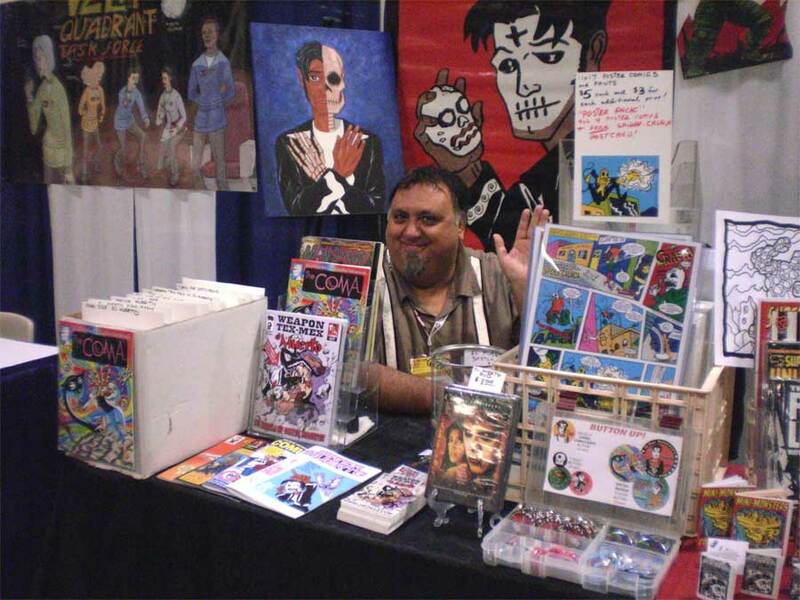 But at it's best, I get to make my comics, set up at a show, meet lots of interesting people, sell my goods, make some money, and generally have a great time, filled with some rich memories and experiences. Makes it all worthwhile. Back at WONDERCON this weekend! 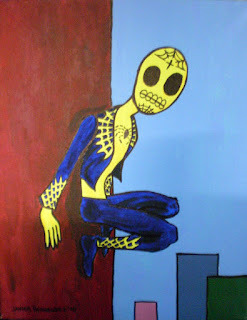 WONDERCON is being held this year in Anaheim (after 24 years in the Bay Area) and I'll be exhibiting the full 3 days. This Friday thru Sunday, find me in the Small Press area at table #33, which I'll be sharing with long-time friend & fellow DIY comics creator, Ted Seko. We'll have these signs behind us, so you better not miss our table! When I started my self-publishing career back in 1998, I attended WONDERCON for a couple of years when it was held in Oakland. Eventually it moved to San Francisco, and I've only been to it once in that city about two years ago, as a visitor. 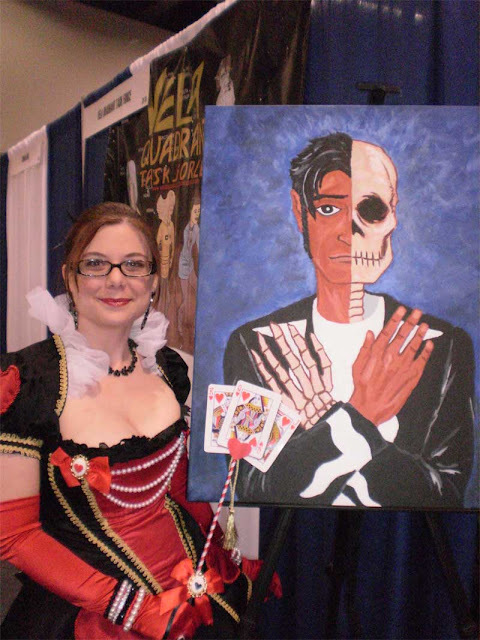 But with their temporary move down here in Southern California this year, I didn't want to pass up on the opportunity to do a 'local' show, particularly one as big as WONDERCON. 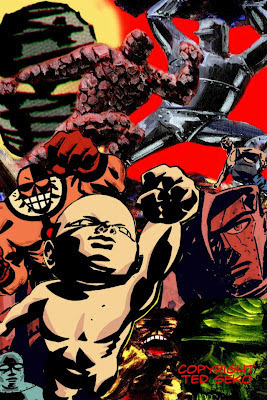 I'm going to officially debut my Poster Comics as, well...posters! I've been releasing these online as webcomics since December, but now they'll be available as 11" x 17" prints, on glossy cardstock. 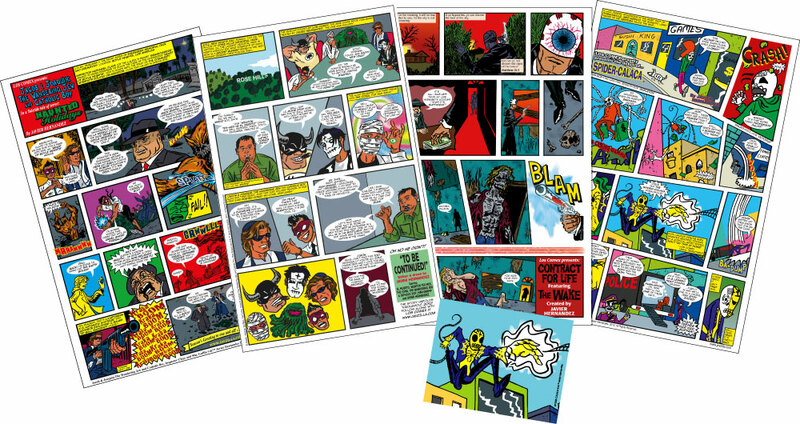 I have a special Poster Pack featuring all 4 Poster Comics plus a free 4" x 6" postcard print of THE SPIDER-CALACA. That's four glossy, full color posters, featuring my newest characters such as THE WAKE, THE WANDERING JEW & CATHOLIC BOY and THE SPIDER-CALACA! 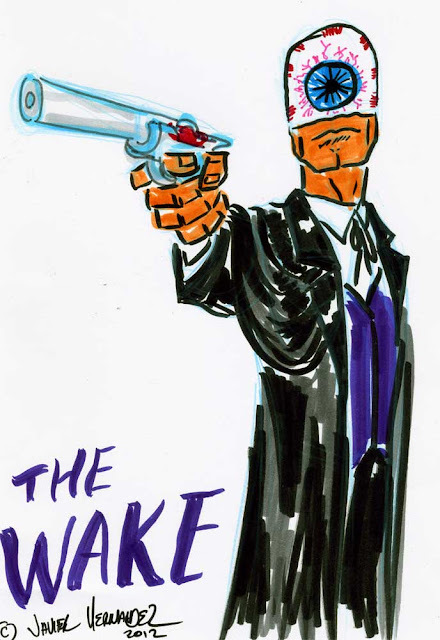 Undercover spycam footage of the THE WAKE sketchdoll! 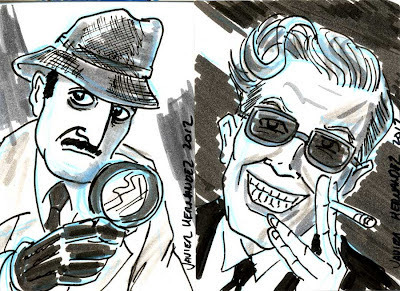 Get your WONDERCON tickets here, and stop by Small Press #33. Hope to see you there! I've put some original art pieces on the auction block over at my Ebay page. If you'd like to bid on these, please visit my Los Comex Ebay page. Auction ends Sunday evening, March 11! Did you see IMMORTALS? The film about ancient Greek mythology starring future Superman Henry Cavill and movie badass Mickey Rourke? The film came out last November. While at first glance it recalls the look of 300, it turns out to be an entertaining couple of hours on it's own merit. Mickey Rourke plays the warrior king Hyperion, hellbent on a bloody quest to obtain the Epirus Bow, which he plans to use to release the Titans and unleash their fury on mankind. Hyperion's wife and children died years previously, and Hyperion blames 'the gods' for not coming to their aid. 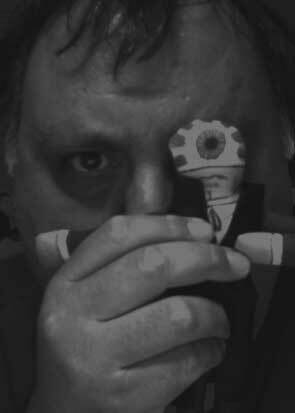 So, he is in fact a disgruntled non-believer! Now he plans to free the Titans, who were imprisoned by the gods years ago after a grueling battle. Cavill, playing the hero Theseus, of course becomes involved in stopping Rourke, but not after having a conversion himself. Formally a nonbeliever in the gods of Olympus (or at least 'agnostic'), he comes to realize and accept them, especially as they came to his assistance in a crucial battle. Cavill does a convincing job as the noble mortal Theseus. But for me it's really Rourke who makes the film. His raspy voiced, hate-filled Hyperion is a musclebound despot, part Conan the Barbarian/part Doctor Doom. While I'm not 100% familiar with the Greek mythology represented in the film, it's a rousing, comic book style battle between good and evil. The film's shot beautifully, Old World classicism in golds and brown. While the scenes look like paintings, the action, and there's plenty of bloody, visceral action, moves like a modern video game. But for me, visually, it's grounded enough to work as part of the overall film. Digital effects for me are always tricky to enjoy, but they're pulled off here with convincing results. 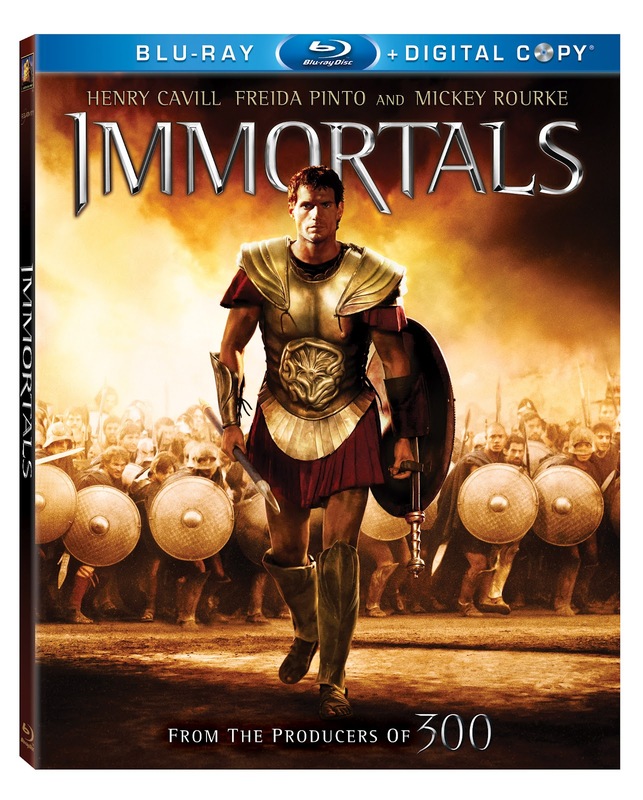 I skipped the remake of CLASH OF THE TITANS, but liked IMMORTALS. 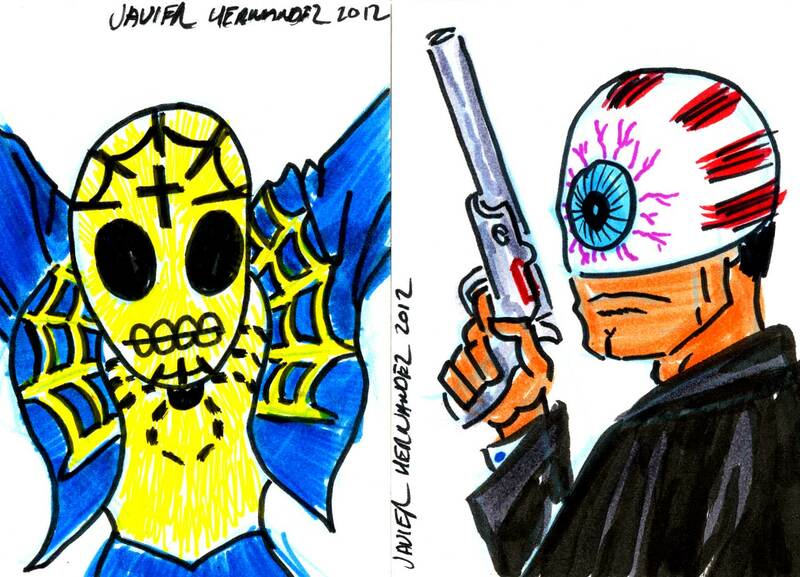 Now I wish we could have some big-budget action films like this that deal heavily with Aztec mythology. FYI: I was sent a copy of the DVD to review, and like I said, movie reviews haven't been a big part of my blog, but I don't have a problem talking about a film I enjoyed. If you want to see it, the DVD comes out Tuesday, March 6! It's March, so that means it's time for an all-new Poster Comic. Introducing The Spider-Calaca! Please click HERE to check out a much larger readable version. 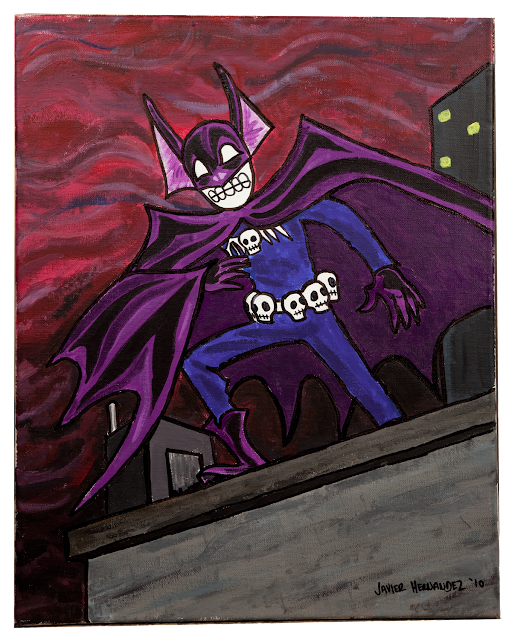 It'll take you to my DeviantArt page, where you can click on the image to see the larger size. 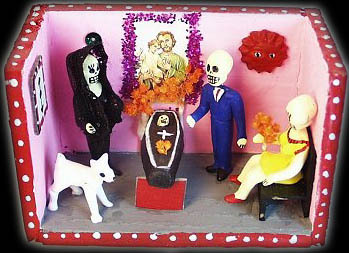 Back in 2010, I had come up with the idea of doing a whole series of characters based on the calaca (skeleton) figures seen during the Mexican holiday, Dia de Los Muertos. 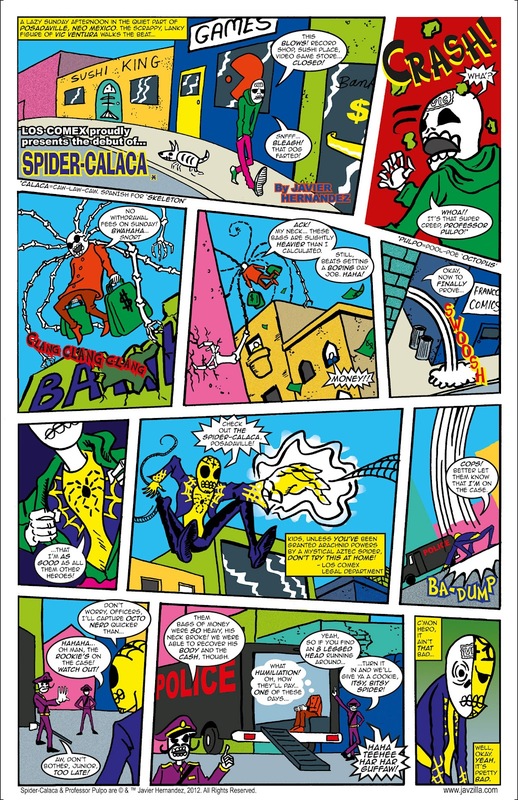 With the new Poster Comic, SPIDER-CALACA is the first of the CALACAS OF JUSTICE to appear in a comic. Let's keep our fingers crossed for more Calacas appearing in more comics! 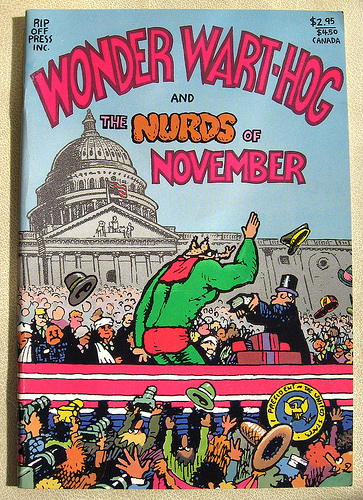 This is my fourth Poster Comic to date, having released one every month since December 2011. If you'll be around Orange County/L.A. County the weekend of March 16-18, I'll be at WonderCon all weekend. Look for me in the Small Press area, table 033. 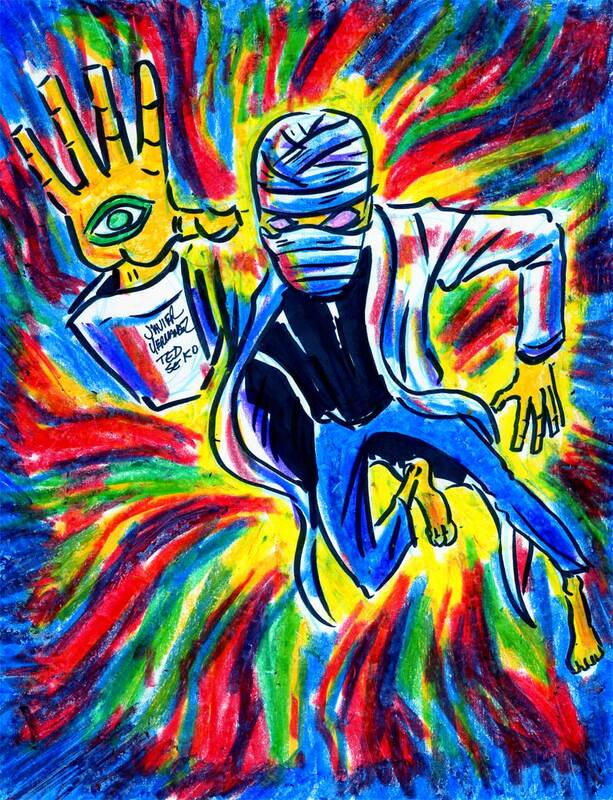 I'll have all my Poster Comics available for purchase (11" x 17" full color prints) as well as all my other comics.